Here are some riddles for you. All refer to the relativity of the positioning of the choke within the filter. 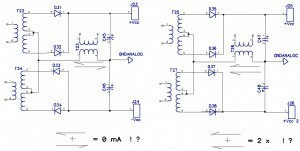 Do both of these power supplies provide the same level of ripple filtering ? If “yes”, how would you justify their complete “equivalence” ? If “no”, which of them is the “better” one and why ? Is your judgement based on: a) gut feeling ? b). on spice simulations ? , or c). 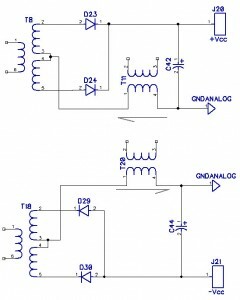 on actual measurements that you have conducted on both variants of such circuit ? 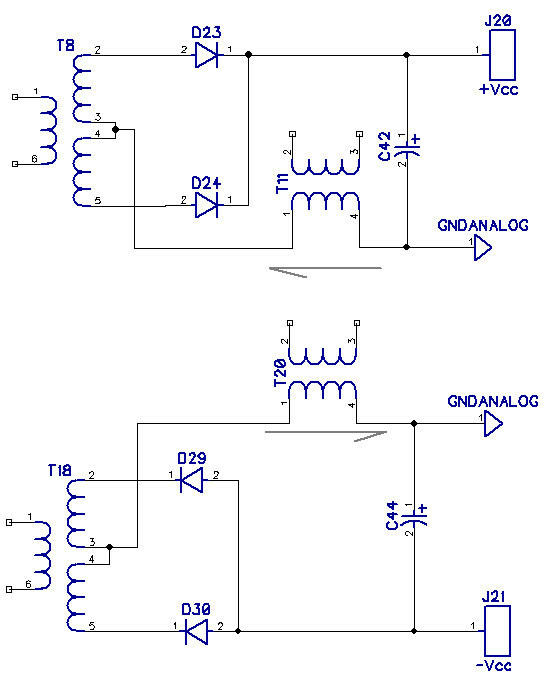 Do the two of the above presented power supplies, one providing a positive voltage, and one providing a negative voltage, provide the same level of ripple filtering ? 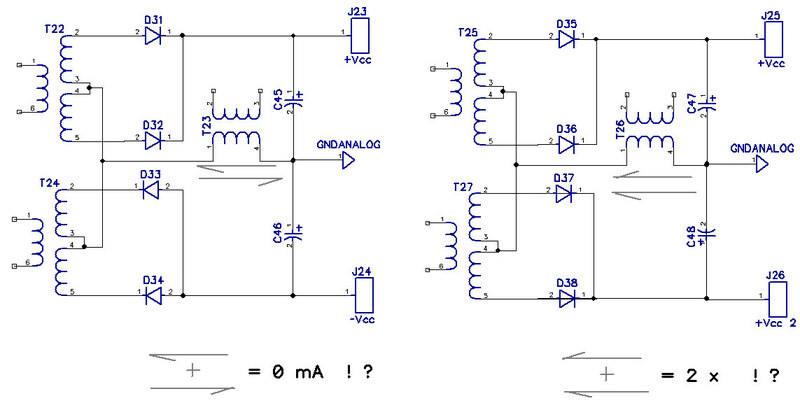 Do these two versions of dual voltage power supplies as in this “Riddle 3″ provide the same level of ripple filtering on each of their rails ? Please take note that one of them is a positive and negative supply, whilst the other is a supply providing two independent positive voltages. You guessed … Equivalent or different in terms of ripple / hum generation ?